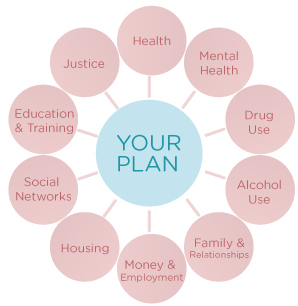 This programme is for people who are motivated to move away from active and regular use of any substance including alcohol and would like one to one and peer support in making changes. The Pre-Entry Programme in DROP consists of a 12 week Reduce the Use group with two 1.5hour groups weekly and attendance at one weekly key work session with your appointed keyworker. The next Pre-Entry Programme commences on Wednesday, 6th March 2019 at 10.15am and we are currently assessing for the programme. For more information contact us on 01 2803187 or download our referral form and return to us. Should you wish to progress on to DROP’s Stabilisation Programme then during the 12 weeks you will be invited to complete a programme assessment and to give consent for your key worker to contact your prescribing doctor and any other referrers or agencies involved in your care plan. If you do not have a medical card you will be assisted in making the application. You are also encouraged to attend other support groups like NA, CA, AA or Smart Recovery in your community.